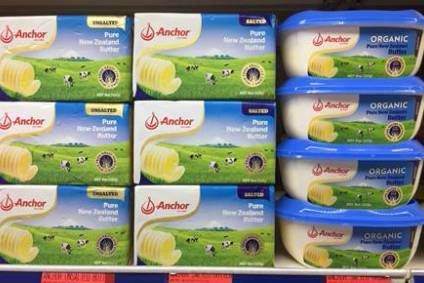 Anchor - at the heart of Fonterra's blockchain pilot with Alibaba. New Zealand dairy business Fonterra has launched a blockchain technology pilot with Chinese e-commerce giant Alibaba. Products from its Anchor range have become the first to be shipped as part of a pilot of Alibaba's Food Trust Framework, using blockchain technology to improve supply chain traceability and transparency. The products are being shipped from New Zealand to consumers in China, who can purchase them on Alibaba's Tmall Global platform. Fonterra president Greater China Christina Zhu said the development continues Fonterra's commitment to delivering global best practice supply chain traceability. "Blockchain is an emerging technology that has the potential to transform our economy and provide greater value to our customers and consumers. We want to be at the forefront of developing food quality and safety standards across the supply chain," she said. "In China and many other markets, we know consumers want to be able to trace the products they purchase online, so we welcome being a part of creating a globally respected framework that protects the reputation of food companies and gives greater value and consumer confidence." Alibaba Group's general manager of Tmall Import & Export, Alvin Liu, who was in Auckland for the launch of the pilot, said: "In response, we have created a coordinated, world-leading and robust framework that involves stakeholders from across the supply chain to improve visibility and enhance the confidence of both end consumers and merchants." The framework aims to give end-to-end traceability and transparency throughout the supply chain to enhance consumer confidence. "In addition to blockchain technology, the framework will also tag products using QR codes to authenticate, verify, record and provide on-going reporting throughout the product's lifecycle - something we already do with our Anmum infant nutrition range," said Zhu. Blockchain technology authenticates, verifies, permanently records and provides on-going reporting in relation to the transfer of ownership of goods - including food products. What does the Sainsbury's-Asda merger mean for food suppliers?